Whatever your business be, when you have shaken hands with "Social Media" then marketing via any of the social media will bring you more success in your business. To grow business, you need the right ways to start the marketing. There are some 17 fabulous tricks that will help you improve the business via Facebook. When you think of marketing, what comes in mind is "how much to invest" first. But there are some ways that can be done freely. Linking all your social media accounts like Twitter, Google+, Pinterest, etc to your Fan page. Important is to link your Twitter account . Because it is also important social media like Facebook. But even after these some businesses fail to implement. The main reason is unknown. But taking into consideration customers' satisfaction, using the right media platform with right tricks will enhance the business. One of them is QR code of Link button of your business page. You may have created one for your business. The utilization part is also important. 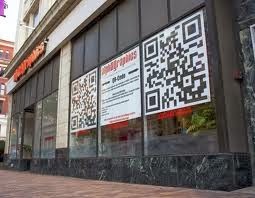 Get these proven tricks to enhance your business via QR code marketing.